Is renting a room right for you? Is it only for singles? Find out why one couple chose to rent a room long-term, and the benefits and challenges of this approach. Recently, I wrote about renting rooms out of your home, but you may be wondering why one would choose to rent out a room? You often hear of single service members renting a room for short tours. However, I’m here to tell you that renting a room is not just for singles! My husband and I have chosen to rent a room out of someone's house at our most recent duty station. This decision has led us to significant opportunities that we would not have had otherwise. For example, because we are saving money on rent, we have been able to purchase a car, build up our savings and investments, and of course, add to my husband’s firearm collection. I will not lie and say that the situation is not challenging, but I will say that the benefits have certainly outweighed the cons for our family. There are a few reasons why a couple might choose to rent a room. Savings. By renting a smaller space, you'll be able to more comfortably afford housing in a nicer area of town. You will be saving money by spending less on rent each month, therefore pocketing a percentage of your housing allowance. This is your opportunity to save, pay off debt, invest, or purchase if need be. It's simpler. 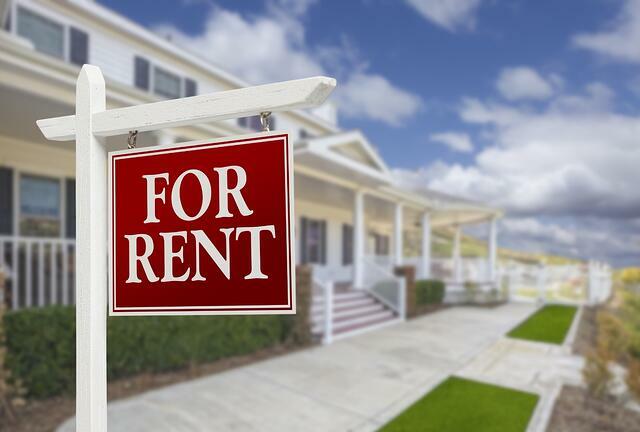 Renting a space usually comes with multiple utility bills, Internet, and cable (if you so choose). When you rent a room, the setup and cost for each of these additions is taken care of. Whatever amount you're expected to contribute will be part of your rent check each month, unless your landlord asks otherwise. You won't have to call and establish service, pay a deposit to utility companies, or cancel service when it's time to move again. Community involvement. Establishing ourselves in a new community can be challenging. By living with people that are already established at your new duty station, you're providing yourself with a useful resource to get involved with the local community. You won't have to figure out where to shop, eat, or even places to avoid. Granted, you will be able to discover new places on your own but more general knowledge of the area will be provided to you. These benefits for renting a room were reason enough for my husband and I to choose our current living situation. If you're interested in renting a room, there are some steps to follow to make sure you end up happy. First, know all your options. Research the area you're moving to. When my husband and I moved to our most recent duty station, we found it difficult to find houses for rent that we could comfortably afford. Since we try to stay under our allowance, we struggled to find housing in a safe area of town where we were comfortable living. Instead, we found that our best option was to put our belongings in storage and rent a room in a nicer home relatively close to base. After you’ve determined that a rental room is for you, consider the space for rent. For example, is there a private bathroom available to you? Do you have your own kitchen or share with the rest of the house? Is the room enough space for you to live comfortably? If you cannot deal with sharing the hallway bath, then consider another room for rent. Screen your landlords. It's always important to choose a good landlord but even more important when you are sharing a house with them! Your interactions with this landlord are likely to be frequent, so it will be important that you can relate to them. If you're looking for someone to talk to or a friend in your landlord, then you need to make sure you find someone who values the same. If you do not want a personal relationship with your landlord and are more interested in a business relationship, be sure to find someone who operates the same way. Choosing the wrong landlord will result in frustration and constant tension. Set your boundaries. You know yourself better than anyone, and it is your job to communicate your needs to your landlord. If you are expecting to live in your rented space and not participate within the rest of the house, then you need to make sure that your landlord is aware of that and accepts it. The worst thing you can do to your landlord/tenant relationship is to have false expectations. Be sure talk about specifics. Are they okay with pets, spouses, children, guests? Get to know their boundaries and respect them. If you are not comfortable with their rules of the house, consider another housing option. The key is to make sure you find these boundaries before they are broken. Renting a room is a wonderful opportunity that has benefitted me and my husband greatly. My last word of advice would be to know yourself, know your landlord, and communicate accordingly!